The unprecedented opportunities that women enjoy today is something to celebrate. The elevation of women in the White House, for example, is impressive to say the least. A record number of women hold high-level, important roles in the Trump Administration, including Department of State Spokesperson Heather Nauert who continually exemplifies strength and professionalism. Share this video on facebook now. We should champion ALL women, regardless of their ideology and politics. That means respecting each other even when we disagree. 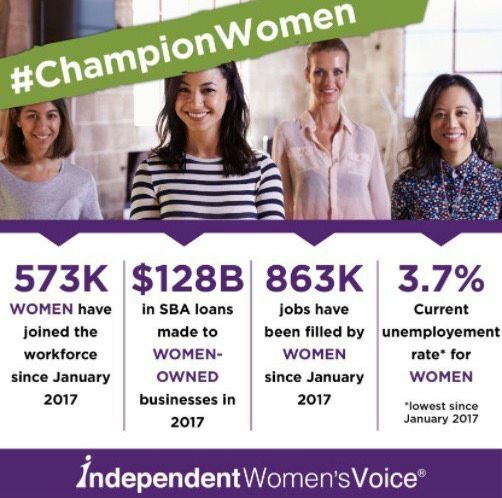 Please click on the social media icons below to share this story with your friends on social media and #ChampionWomen everywhere.